We have covered the topic of quantum dot (QD) displays a couple of times previously. This new display technology was first put to use in commercial devices by Sony, in its Triluminos TV range, and features in new Xperia smartphones. Now Philips is getting in on the QD action and bringing this tech to PC monitors. 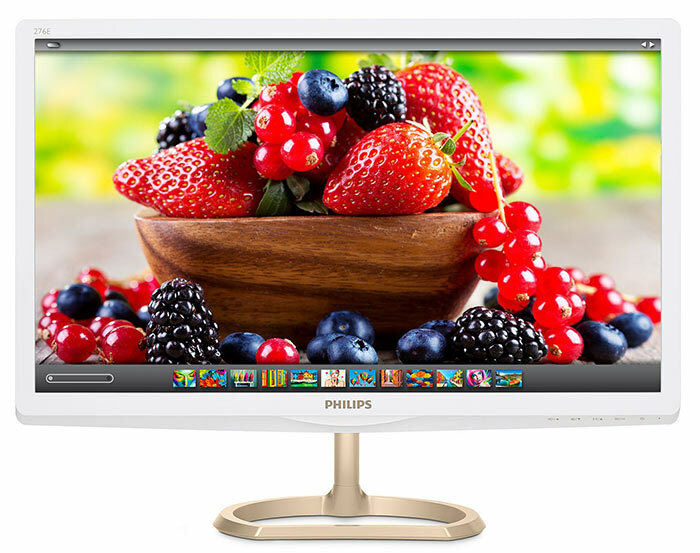 Philips claims that its 27inch Full HD 276E6ADS monitor, above, is the world's first to use QDs. It has worked alongside specialist firm QD Vision to incorporate Color IQ technology into the monitor. "Quantum dot technology is changing the way monitor users think about colour, and the new 27-inch E Line monitor is the first on the market to showcase this new technology," said Stefan Sommer, Director Marketing & Business Management EMEA at MMD. Sommer claims that the new monitor can display 99% Adobe RGB colour "at a very aggressive price point". This is in contrast to most monitors on the market today which can only present roughly 70% of the full Adobe RGB standard, according to Philips. The Philips 276E6ADS is currently being showcased at the IFA 2015 show. The firm indicates that it will be a jack of all trades display being "ideal for entertainment and gaming, as well as professional photography and design". European customers will be able to get their hands and eyes on their own Philips 276E6ADS sometime in October. Philips has not divulged the "aggressive price point," at which it will be sold, as yet. Philips is showcasing many other devices and technologies at IFA 2015 and has set up a dedicated page detailing its TV, health and home, sound, and digital innovations. can a qd monitor hit 120/144hz? Erm, for quite a lot of laptop displays 1080p would be a step up - e.g. the laptop that I'm typing this on is a “marvellous” (sarcasm) 1440x900. And being rude, will you really notice those 120 missing vertical pixels in going down from 1920x1200 to 1080p? I'm prepared to give Philips a pass on this, mainly because QD IS new tech, so you'd expect mainstream resolutions before they try the 4K nonsense.